Speaking is an integral part of building your personal brand even if it isn’t your full-time gig. If you want to be looked at as an influencer, thought leader, or expert, speaking could be a big factor in getting there. I come across way too many speakers who are speaking for free. That’s fine for a certain amount of time, but there has to come a day that enough is enough. You want to get paid for speaking, right? I spoke with Grant Baldwin about this, and we got into the nuts and bolts of being a speaker on the business side. Why do I want to add speaking to my business? Who is it I want to speak to? What do I want to speak about? 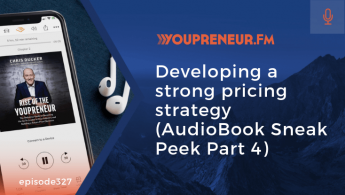 Once you get clear on your answers to these questions, it will be easier to market in that direction and start getting paid for public speaking. It’s never enough to sit back and wait for the phone to ring. That doesn’t work. Just because you want to be a speaker, doesn’t mean anybody cares. Rather than wait for someone to find you, spend time trying to find the types of events you’d be a good fit for and begin to build relationships and connections with those presenters. Make the connection between what they’re looking for and what you bring to the table to add value. A lot of getting booked in the beginning is guerilla marketing. It works really, really well to build those relationships instead of purely going after a gig. 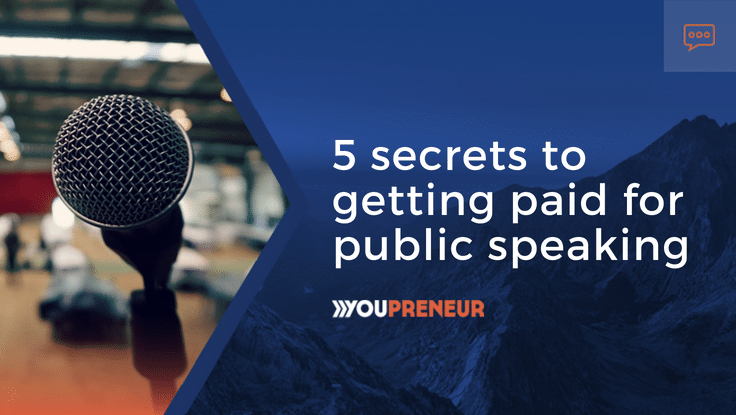 You have to have a few key pieces in place to get paid for public speaking. First, you definitely want to have a website. If you don’t have a website, you don’t exist. This is the modern day business card. Next, you need a demo video or sizzle reel. Think of it like a movie trailer. For a 90 minute movie, the trailer will be a 2-3 minute clip to give people an overview of what the movie is about. That’s what you’re trying to do with your own demo video. You want to give people a sense of your style, what you’re like, and what you talk about. This is what helps presenters decide if you’re the right fit for their event. This is where you provide some proof and evidence of what it will be like to work with you as a speaker. When you’re putting demo videos together, you’ve got to work with what you’ve got and improve as you go. Do the best with what you have at the moment. You have to start with version one. There are two key things you can do if you don’t have any footage for a demo video. One, you could speak at some type of local event for free with the sole purpose of trying to get footage. As a rule of thumb, you should try to get footage every time you speak. The other option is to speak to an empty room. If you’re going to do this, do it in the type of context and setting where someone would book you to speak. Record it in an auditorium or banquet hall. Don’t record it in your kitchen. Your demo video can be just a tight shot of you on stage. I love this idea. It can work really well when you’re getting started. There is nothing wrong with renting a venue, getting a couple of decent videographers, and going through your presentation. Now you want to start making money, don’t you? Often as speakers we tell ourselves that we have to get paid for an event or speak for free. Here’s where you expand your mindset. There are a lot of ways to get paid as a speaker without actually being paid to speak. You might have the presenter purchase your book for everyone in the audience. That’s money in the bank. You might be speaking to an audience of potential clients. That could be thousands of dollars. You never know how much revenue you’ll be able to attribute to a free workshop. It’s not unrealistic to get paid anywhere from $1,000-2,500 for that first speaking engagement once you’ve got a few notches on your belt. We’re not talking about $50 and a pat on the back. There are a lot of variables that go into what you charge. The longer you speak, the better you’ll be able to establish your price. When you’re starting off, getting paid is just the icing on the cake. You want to be more flexible in the beginning. 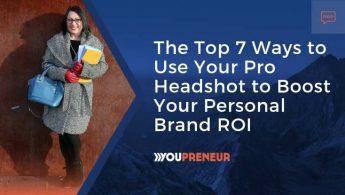 Start by asking, “Hey, do you mind me asking what kind of budget you are trying to stay within?” By getting the answer to that, you’ll find out if your fee lines up with what the presenter had in mind. Keep your price low in the beginning as you feel it out and pay attention to the market you’re speaking to. Building relationships with other speakers and decision makers in that space also helps you gauge what the going rate is for that market. It’s no coincidence that everything I’ve learned about the business of speaking I’ve learned from other people who speak. It’s not from the event organizers or watching videos on Youtube. It’s genuinely down to conversing with people who get paid to speak.